Established in 1995, Bergeron Clifford LLP has earned a reputation as a leading personal injury law firm in Ontario proudly serving the people of Carleton Place and Eastern Ontario. Bergeron Clifford LLP was recently honoured by Canadian Lawyer magazine to be ranked as one of Canada’s top 10 personal injury law firms. Ted’s legal career began as an insurance defence litigator. He worked at a boutique insurance defence law firm before switching to represent only injury clients and their families (Plaintiff personal injury law). This experience gives him an insider perspective on how insurance companies operate and handle claims. His extensive experience as a personal injury lawyer combined with his past experience as an insurance defence lawyer, allows Ted to bring an insight that is of great value to his clients. Ted has successfully represented injured clients and their families in the Ontario Superior Court of Justice, Ontario Court of Appeal, Financial Services Commission of Ontario and before the Criminal Injuries Compensation Board. 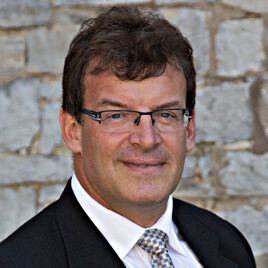 He has successfully managed jury trials in several Ontario counties and cities from Parry Sound to Toronto to Ottawa. Ted received a Distinguished Service Award from the Ontario Trial Lawyers Association in 2004 and continues to be actively involved in that association. He is widely regarded for his legal acumen and is a respected member of the Ontario personal injury bar. Beyond his legal colleagues, Ted and his firm are also well regarded within the disability and medical communities. Ted provides free, no obligation, consultations to injured persons and their families. If you or a loved one have been injured in Carleton Place or anywhere in Lanark County or Eastern Ontario, Ted would be happy to meet with you to discuss the issues of your case, how the law applies and the best way to proceed to protect your rights and obtain the fair and proper compensation you deserve. If you are unable to attend the Bergeron Clifford LLP. offices, arrangements can be made to meet at your home, hospital or rehabilitation facility.